Uriminzokkiri, the North's external propaganda website, on Sunday warned South Korea against its move to vote for a new human rights resolution at the United Nations. "The South should think carefully before behaving rashly about what kind of catastrophic consequences such a move would invite in the future," it said. During a parliamentary audit session last month, South Korean Foreign Minister Kang Kyung-wha said Seoul won't withdraw from the vote to adopt the new resolution, slated for next month. 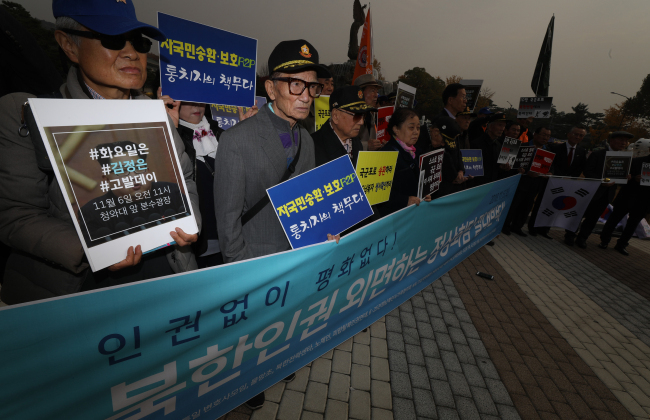 On Nov. 1, the ministry's deputy spokesman Kim Deuk-hwan reiterated the government's stance. "Our government will participate in the adoption of the resolution under the basic principle to make joint efforts with the international community for the human rights of North Korean people to be addressed substantively as a universal value of mankind," Kim said at a press briefing. The North's media claimed that the South's decision to support the resolution "evoked resentment from the Korean people," it continued. "How should we interpret their attitude to participate in adopting a criminal document that viciously insults our leader and system, right after the two held historic summits to promise reconciliation and cooperation?"